Having been to Gib, I can picture you whizzing along the dock on your bike...what fun! You have used your new stamp beautifully. Sorry if I have used up all your crafting pennies for the month!! LOL!!! It looks gorgeous on that nestie!!! Never been on a motorbike or a scooter. Feel like I might be missing out on something here! Beautiful! So elegant Sylvie! Have only been on the back of a motorbike once and it scared me so much I've never done it again! Another gorgeous gold/white card! Great one for an anniversary too. Awesome card Sylvie! 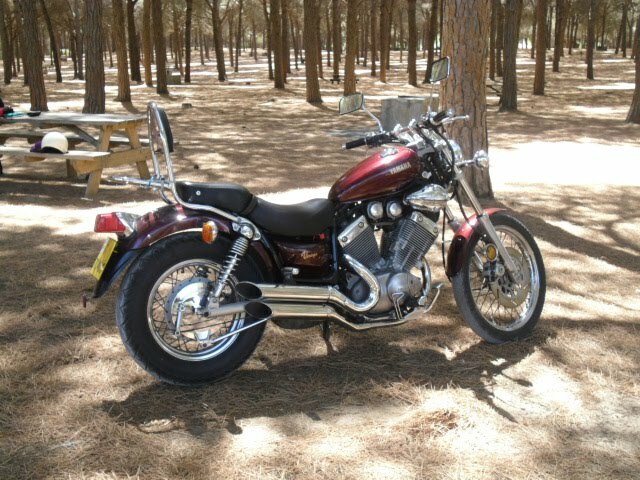 I LOVE biking, use to in my younger days ride a Harley ... those days are long gone though. Also a great card Sylvie, but the motorbike.. That picture brings back memories. My father used to ride a motorbike, and I made many trips with him. Gosh - you're on a roll Sylvie. Another stunning card ......the gold must have inspired you. Loveeeeee the Bike wow !!!!! The cards not bad either, no seriously another beauty from you such a fantastic, elegant and stylish card. 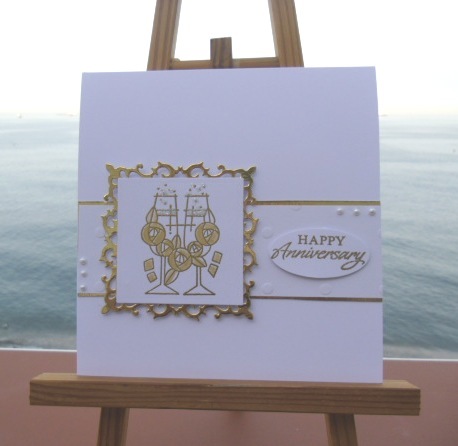 Such a beautifully elegant anniversary card - lovely! 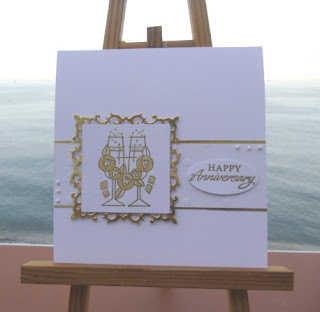 This is a fab anniversary card Sylvie and I'm having stash envy after seeing that gorgeous frame die! Great card, love the bike. Great card and bike! I quite understand the "I want that stamp" thing! I just catching up with some commenting.. Your CAS Gold card are wonderful, so effective. Love them..
WOW that bike is fab too.. We used to have bikes but since we have had our little ones we have not had one. Seeing them always makes me smile.. i so miss that smell of the bikes. lol. Hope you are still enjoying the heat over there, we Still have lots of rain..